The new Nikon D7500 camera is the successor to D7200 even though the Japanese company skipped a couple of versions for emphasis. Certain parts of the technology have been inherited from the D500 model like the APS-C sensor with 20.9 MP resolution, the EXPEED 5 image processor and a maximum ISO of 1,640,000. Nikon’s target customer prefers a less complex camera than Nikon D500 yet powerful enough to develop new photographic skills with. Nikon’s goal is obviously to offer a camera that appeals to a larger potential customer base. It feels like Nikon D7500 has potential to accomplish this given its design and features. A new feature is the ability to record time-lapse movies in 4K format. The user is also able to employ “power aperture” in A- and M-mode as well as specifying an ISO-range to operate within during the recording. Furthermore, there’s a Zebra function in order to view over exposed regions. Other recording formats are full-HD in 1080/60p and 4K/30p in 8 bits. 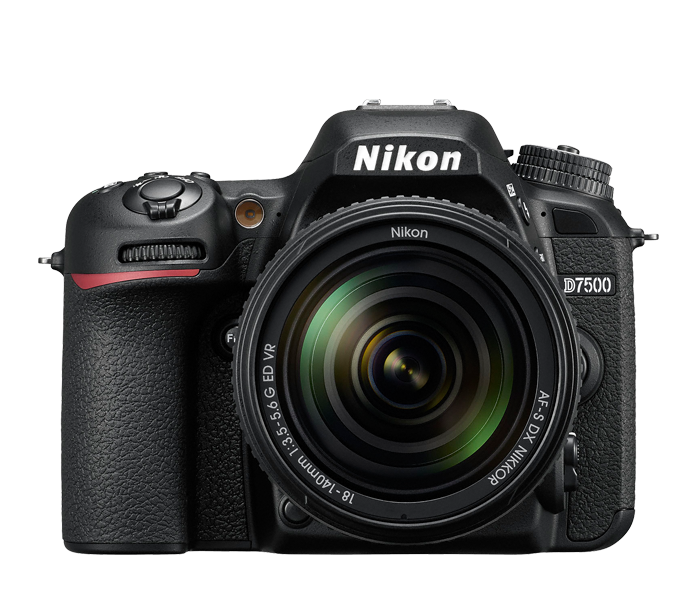 Nikon D7500 is a speedy camera and shoots 100 JPEGs or 50 RAW frames at a speed of 8 frames per second. There are 51 AF-points that can handle light down to -3 EV. Nikon hasn’t announced the availability of D7500 yet.